Bobby Bowden was waiting in the Auburn locker room to congratulate his son after his first SEC win. 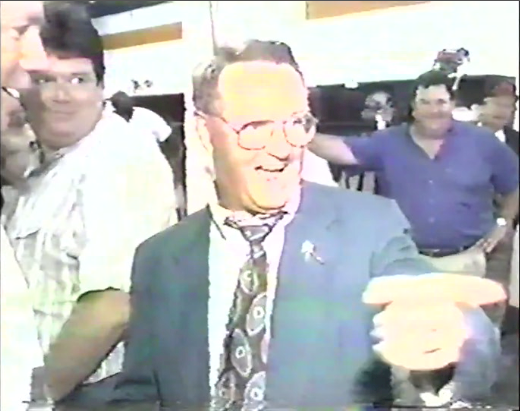 Here’s the first Auburn Football Review of the Bowden Era—Terry and Bobby, who makes a locker room cameo right at the beginning. You can watch the first commercials of the Bowden Era—Terry and Bobby—here. Related: Watch the entire Auburn Football Review after Auburn’s 1991 win over Ole Miss.